Pack of 25, black adhesive backed bases for cable ties up to 5mm wide, base size 25mm x 25mm. 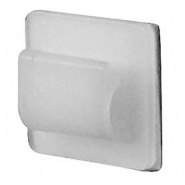 Pack of 25, white adhesive backed nylon cable clips, for cable 3-7mm diameter, cable clip size: 25 by 25mm. 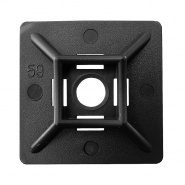 Cable tie fixing bases and clips, including strong self-adhesive backed pads for securing cables via tie wraps to vehicle chassis, screw down clips and chassis fixed tie wrap mountings. 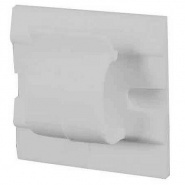 Pack of 25, white adhesive backed bases for cable ties up to 5mm wide, base size 25mm by 25mm. 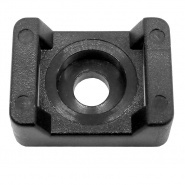 Black fixing bases for cable ties up to 5mm wide, base size: 19mm long by 9.5mm wide. 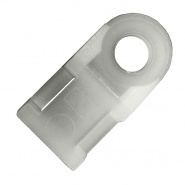 White fixing bases for cable ties up to 5mm wide, base size: 19mm long by 9.5mm wide. 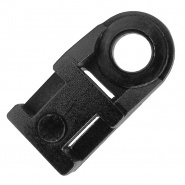 Black fixing bases for cable ties up to 9mm wide, size: 23mm long by 15mm wide. 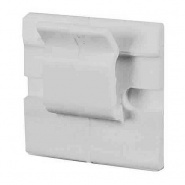 White fixing bases for cable ties up to 9mm wide, size: 23mm long by 15mm wide. 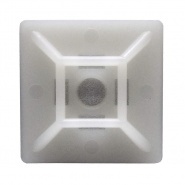 Pack of 25, white adhesive backed nylon cable clips, for cable 8-12mm diameter, cable clip size: 25 by 25mm. 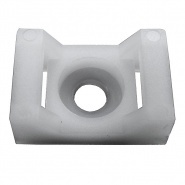 Pack of 25, white adhesive backed nylon cable clips for cable: 3 to 5mm diameter, cable clip size: 15 by 15mm.